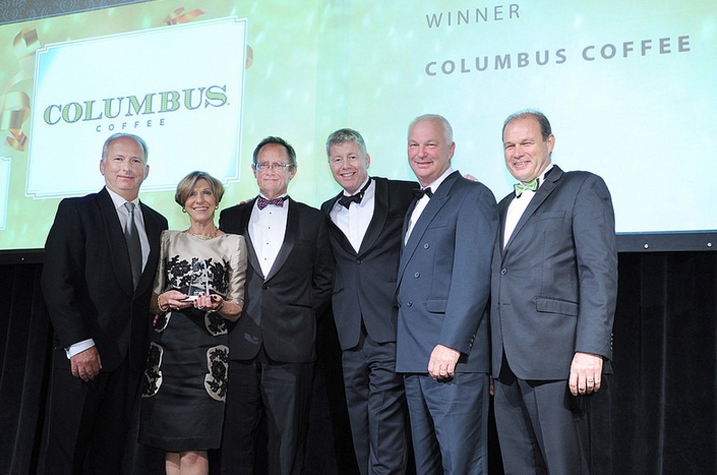 Columbus Coffee are twice winners of the Westpac NZ Supreme Franchise System Award, three time winners of the Food & Beverage Franchise System Award, and two times winners of the Westpac NZ Supreme Franchisee Award. 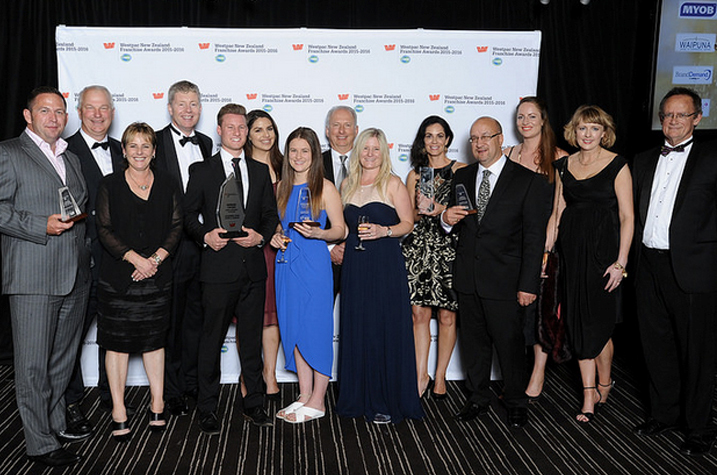 In 2015 we were also awarded Media Campaign of the Year, a new category within the Westpac New Zealand Franchise Awards. A list of our major awards follows. The judges noted ‘Particular strengths for Columbus Coffee are its business planning, performance measurement and strong focus on service excellence. The Hall family opened their first Columbus Coffee outlet at Mitre 10 MEGA in Kapiti in 2011. They followed it up in 2014 with a second in Porirua – again within a Mitre 10 MEGA outlet, thanks to a venture launched between the two New Zealand-owned brands a few years ago. This award ended an amazing year of success, which started with the family being named joint winners of Columbus Coffee’s own Franchisee of the Year award, alongside Columbus Glen Eden. The Awards judges commented that their entry reflected a very strong focus on customer satisfaction and monitoring of business performance across a comprehensive range of measures. Both the Hall family’s cafes are situated in Mitre 10 MEGA stores some 30kms apart, but their individual approach to each market won the judges’ praise. ‘Serving food, coffee and other beverages prepared on site for stay-in and take-away customers, they have adapted their offerings to their local clientele, including regular customer preferences at each location. Twice winners of the highly coveted Supreme Franchise System of the Year award at the Westpac NZ Franchise Awards, the awards judges noted the company’s excellent application comprehensively addressed all criteria items and demonstrated highly effective work systems, coupled with very sound leadership. A strong focus on exceeding customer expectations and effective performance management supported by a comprehensive suite of measures showed impressive levels of performance across all results areas. Winning this category two years running at the Westpac New Zealand Franchise Awards, the judges commented that the franchise system demonstrates sound leadership across all aspects of franchise operations coupled with a clear focus on delivering service and product excellence. 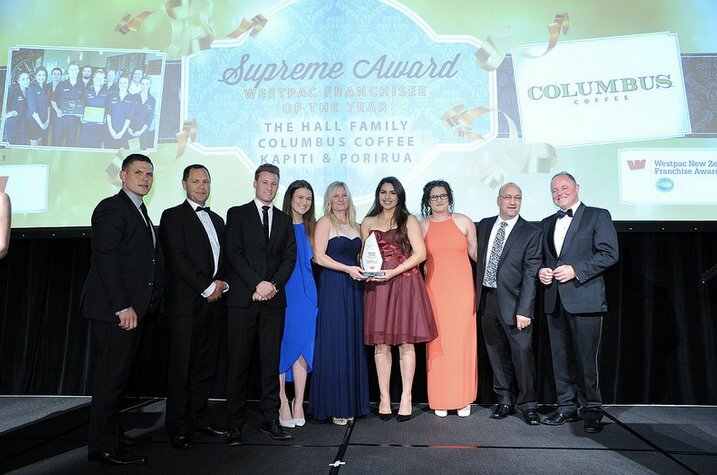 Columbus Coffee was also awarded Mitre 10 Service Provider of the Year 2015 and is a multiple award winner of The Retail Association of New Zealand Top Shop and Westfield Retail Award programmes.